We believe the best way to build a solid financial plan for the future is by developing a long-term relationship with you today. We combine a dynamic formula with personalized investment advice to construct a portfolio that can help you meet your goals. Your goals are our goals. We are here to guide you every step of the way on your financial journey. Check out our blog for articles on tips and advice for pursuing your financial goals and feeling more financially confident. 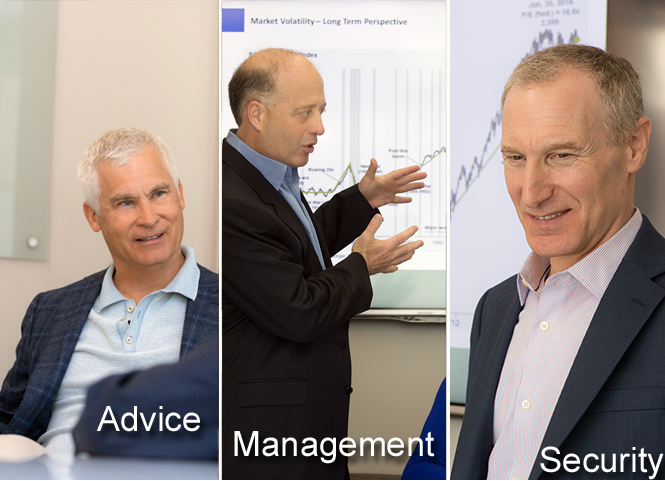 Emery Howard Portfolio Management has provided personalized timely investment advice and money management services to high net-worth clients since 1991. With over $1.2 billion in assets under management and located in the San Francisco Bay Area, Emery Howard understands and serves the entrepreneurial spirit that has fueled the innovation and explosive growth of Silicon Valley. We have extensive knowledge of complex financial issues and more importantly, a deep understanding of our clients, their needs, and how to help them achieve their financial goals. been the cornerstone of our foundation of success.